Usain Bolt (JAM) claimed his third successive world 200m title and set the world leading time of 19.66 secs in the process. The victory completed the sprint double for Usain at these championships and now gives him seven World Championship gold medals. 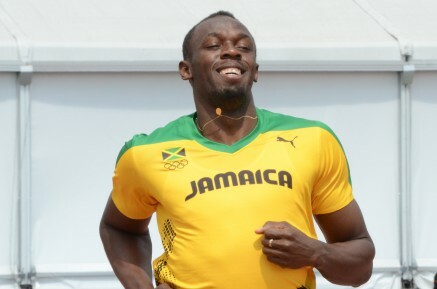 He will be looking to make this eight when he competes in the 4x100m relay tomorrow. From lane 4 Bolt ran a strong bend and entered the home straight 3 meters in the lead. Despite admitting after that he felt tired and a little heavy he was able to hold this advantage to the finish line and even had the energy left to treat the sellout crowd to some celebration dancing on his victory lap! Christine Ohuruogu (GBR) also won her second medal of the championships as she combined with her Great Britain teammates to take bronze in the womens 4x400m. The 400m champion ran the anchor leg and split her fastest ever time of 49.6 secs to confirm the top shape that she is in currently. In the first final of the day Shannon Rowury (USA) ran a seasons best for seventh place in the womens 5000m final.